Champagne is an extremely complex blended wine, made from a variety of grapes from different vineyards throughout the region. There are three main grape varieties when it comes to Champagne, Chardonnay, Pinot Noir and Meunier. Even though Pinot Noir and Meunier are in fact red grapes, Champagne producers very delicately press the red grapes to extract the juice and then discard of the skins. It is very important that after harvest, the grapes are not left in contact with the skins for too long as you risk discolouring the juice. 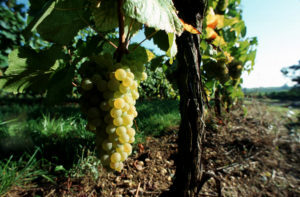 Champagne is one of the only regions to have mastered the technique of producing white wines from red grapes. The term for a Champagne that is made exclusively from red grapes is Blanc de Noirs and Champagne that is made from 100% Chardonnay is referred to as Blanc de Blancs. One of the most successful brut style grape varieties worldwide. It adapts to a great range of climates, soils and locations. Chardonnay grapes are slower to develop than other varieties and therefore Chardonnay wines are built to age. The high levels of acidity provide a freshness, delicacy, elegance and finesse. Particularly valuable grape because it buds later in the spring than Pinot Noir and Chardonnay. It is therefore less prone to damaging frosts and can thrive in areas like the Marne Valley, an area where the other two varieties would not be successful. 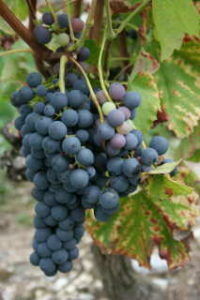 Meunier matures quicker than Pinot Noir and Chardonnay and therefore are not often used in blends that are to be aged. This grape contributes fruitiness and floral aromas to the blend. Classic aromas and tastes are red fruit, such as cranberry, cherries and berries. Until very recently Meunier was referred to as Pinot Meunier. However, a report published by the CIVC (Comité Interprofessionnel du Vin de Champagne), established that its DNA was not related to that of the Pinot variety and should therefore, from now on, only be referred to as Meunier. Contrary to popular belief there are actually four other grape varieties that are permitted in the region and the Champagne making process. These are Arbanne, Petit Meslier, Pinot Blanc and Pinot Gris. 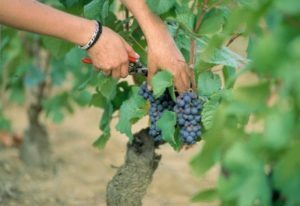 However, together these grapes account for less than 0.3 per cent of plantings and whilst you are permitted to use these grapes in the Champagne blends, you are not allowed to plant new vines. These grapes are primarily found in the south of the region, in the Aube and are slowly dying breeds.